Holiday rental or bed and breakfast, both offering access to a heated pool. Superb setting with 6 charming room and a large indoor heated swimming pool. Panoramic view of the surroundings peaks. 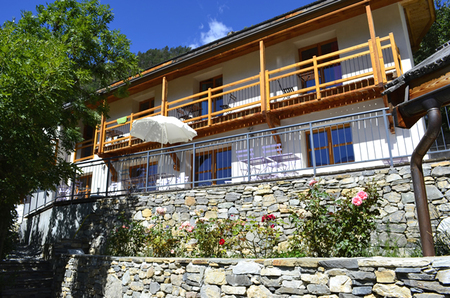 in a natural setting and affords quick and easy access to the National park of the Ecrins. Rent one of the guest room which includes breakfast. Marie and Jerome welcome you all year to the "jardin des Ecrins"